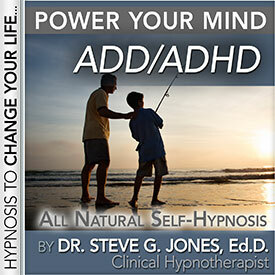 Power Your Mind With Hypnotherapy To Relieve Add And Adhd Without Drugs! Attention Deficit Disorder (ADD) or ADD with hyperactivity (ADHD) is as common in today's schools as well, the common cold. If you would like to explore alternatives to drug therapy to help your child become more focused and calm and do better in school, then hypnosis is a comforting and natural choice. Adults and children alike can suffer from the effects of ADD and ADHD. Both are treated with similar medications including Adderall, Stratera, or Ritalin. These prescriptions tend to work only as long as they are in the body, so most children have to take time out of their school schedule to visit the nurse for a mid-day dose. There can also be a drop off effect when the medication leaves the body that manifests itself as an extreme change in behavior based on the decreased ability to focus. Hypnosis addresses the core causes of the inability to stay on task by organizing thoughts and developing skills used in concentration. Hypnotherapy designed to alleviate ADD and ADHD starts as other hypnosis sessions. First you are brought to a state of total relaxation. From there you are able to shut out all external stimuli and focus on the matter at hand. The dialog used to battle ADD and ADHD works on developing concentration by learning to focus on one specific thought or task at a time. Dr. Steve G. Jones M.Ed. is a clinical hypnotherapist who has developed a self-hypnosis program called, ?Overcome ADD & ADHD.? It is beneficial in managing ADD and ADHD without medication or in conjunction with current drug therapies you may be using in your treatment. ADD is not something that can be controlled by sheer willpower. A new way of thinking and reasoning needs to be established to combat the problem. Helping ADD and ADHD sufferers with Hypnosis! If you or your child struggles each day to stay on task and live a peacefully organized life, then hypnosis can help. The cause may be a condition known to doctors and psychiatrists as ADD/ADHD. Attention Deficit Disorder (ADD) or ADD combined with Hyperactivity Disorder (ADHD) are conditions diagnosed in approximately 5-7 percent of children. It is also becoming recognized as a disorder not exclusive to children, but in many adults. The growing pharmaceutical hold on those who suffer from these conditions is not the only treatment. Symptoms of ADD and ADHD are an inability to concentrate and complete tasks. It is believed to be a chemical imbalance that causes these disorders. A hyper or extremely active child does not necessarily have a problem, nor does a scatter-brained adult. Much of a person's diet and the way they process information, can lead experts to the diagnosis of ADD or ADHD. Since hypnosis naturally works to organize and sort through thoughts and stored bits of information in the brain, it is extremely effective in helping those who have ADD. Because hypnosis is able to help a person relax it can go into the depths of the brain where information is stored. Often the information stored there is vying for attention and comes to the conscious mind in the form of scattered and disconnected ideas. Likewise, throughout the day the brain is receiving millions of pieces of information simultaneously and unless it knows how to organize it quickly, it can cause distractions. Hypnosis, simply put, is the way to file all of these stimuli and keep order. LEARN HOW TO RELIEVE ADD/ADHD WITH HYPNOSIS!!! One of the most common problems those who have ADD/ADHD are faced with is low self-esteem. This is a major area where hypnotherapy can help. A person who feels positive about him or herself is able to accomplish anything that they want to, but that is often difficult with the outside influences surrounding ADD/ADHD. Any adult who suffered from one of these disorders as a child well knows how cruel other children can be when they recognize that another child is different from them. If you are someone who is interested in learning more about how hypnotherapy can help with ADD/ADHD, the following paragraphs will shed some light on some things that my ADD hypnosis CD or ADD hypnosis MP3 can help you achieve. This ADD hypnotherapy CD or ADD hypnotherapy MP3 will help you feel better about yourself, help you have a positive attitude, and relieve some of your symptoms. Hypnotherapy is a fabulous tool for raising the self-esteem. Our self-esteem is the foundation of everything we do in this life. If someone feels great about him or herself, they're a force to be reckoned with! A person with a high self-esteem won't be affected by negative comments from others. They can learn to set goals within their range and reach them. Once you know your strengths, have a positive attitude, and feel good about yourself, the world is a whole new place. With this ADD hypnotherapy MP3 or Hypnotherapy CD you will easily learn that it is possible to make changes, have the confidence to do it and will make the effort.The overall impact my ADD hypnosis CD or ADD hypnosis MP3 can have on you and your family is miraculous.